SAN FRANCISCO and COPENHAGEN, February 26, 2015 – Sky Imaging Mapping Data (SkyIMD), a leading provider of smart geospatial imaging systems and Phase One Industrial, a leading manufacturer and provider of medium format aerial and industrial digital photography equipment, today announced that SkyIMD has introduced a mount for Phase One aerial cameras that is approved for commercial aviation by the FAA and 55 other countries with over 23 popular aircraft. SkyIMD has manufactured a pod which can house a single Phase One iXU and a larger pod that can house two iXU cameras, or an iXA or iXA-R. The aerodynamically designed pods are engineered to give optimal camera performance without affecting the flight characteristics of the aircraft. Phase One aerial cameras, when mounted in SkyIMD’s pods, have Parts Manufacturer Approval (PMA) from the FAA, and can be Supplemental Type Certificate (STC) mounted on many aircraft. The pods can be removed completely by the pilot between flights, or hand-swapped to another aircraft. With just a little additional weight, and no additional operational cost, many aircraft already in service can be retrofitted with one or more pods carrying Phase One aerial cameras. By using mounts that are easily moved between different aircraft, users can extend missions, reduce costs and backup each other. In fact, one camera pod can be shared between a fleet of helicopters and fixed wing aircraft. Combining two cameras in a single pod, enables operators to capture RGB (red green blue, normal visible color) and NIR (near infrared) simultaneously, or capture a wider swath of images to be stitched together in processing. By using multiple pods on a single aircraft, a user can fly a small Cessna combining five STC-approved Phase One cameras. 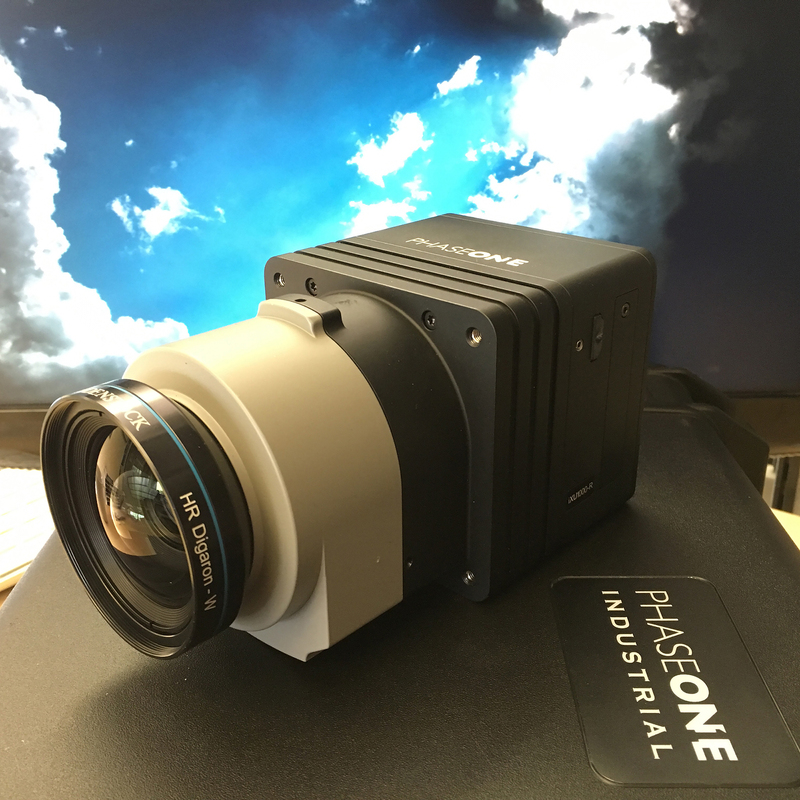 This unique combination, allows for an astounding combined coverage of up to a 40,000 pixel width imaging swath or an array of oblique and nadir cameras. A pod housing a Phase One camera can also be used together with an existing EO/IR gimbal to assist in surveillance. This entry was posted in aerial imaging, PhaseOne. Bookmark the permalink.